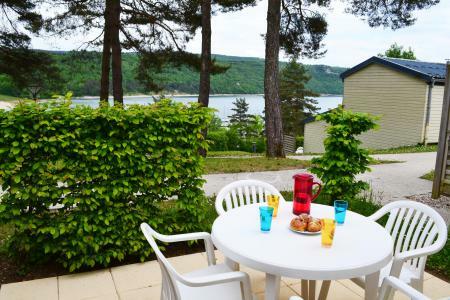 For successful summer holidays in the mountains, book your accommodation to Les Rousses in Jura massive, Jura. This mountain resort will offer you exceptionnal areas and surprising landscapes. Your summer accommodation to Les Rousses will be for you a moment of wellness in the heart of a beautiful nature and you will spend holidays in wide open spaces. Our moutain offers will make you live warm emotions with all your family. We propose you quality holidays accommodation in all French massives, in the heart of mountains. We have many residences to rent for your summer to Les Rousses. Let yourself be carried by a feeling of happiness, enjoy the summer holidays in the mountains full of sun and discoveries ! Les Clarines residence is located in the heart of the natural reserve of the Haut Jura, at a few kilometers from Switzerland. At the foot of the famous Transjurassienne, you can discover beautiful landscapes. The residence is situated at about 1 km from Les Rousses resort centre. Les Clarines offers you all the advantages of a comfortable residence in a traditional and splendid setting ! 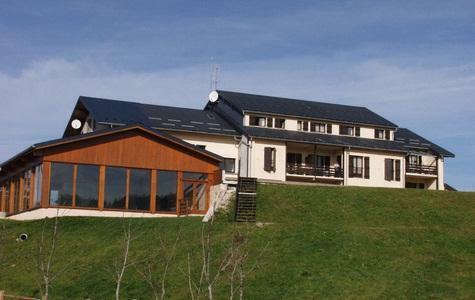 Situated nearby the town, the VVF Villages Jura les Rousses, included 38 accommodations in a building of several parts of 3 floors, with elevator. The ski area of Les Rousses is situated at 3 km (free shuttles), at 800 m of the slopes of cross country skiing (access at foot or in car). On the spot, at your disposal : Covered swimming pool, fitness room and hammam.